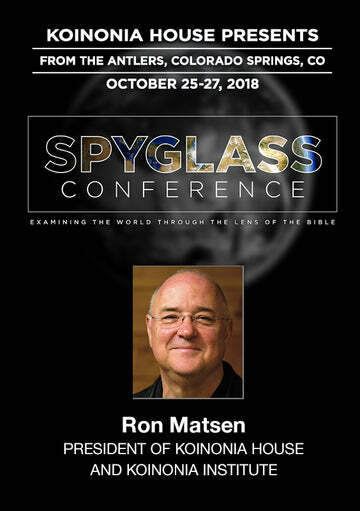 I have just returned from the International Prophecy Conference in Florida, where I delivered a disturbing summary of what I believe is our present predicament. It is becoming increasingly apparent that there is serious turbulence on all of our horizons. The widespread corruption, deceit, and betrayal of those in leadership raise serious fundamental questions: What is happening? What are we to do? 1)	Against Samson: Can you imagine Samson’s shock on that final visit to Delilah when he realizes that God had abandoned him (Judges 16:20)? 2)	Against the Northern Kingdom: Under Jeroboam II, the Northern Kingdom enjoyed unparalleled prosperity. They felt that it was “the best of times.” However, from God’s point of view, it was the worst of times. Hosea was commissioned to present God’s indictment against the Northern Kingdom (Hosea 4-14). 3)	Against the Southern Kingdom: it surprised me to realize that there also appear to be highly relevant similar parallels in God’s dealings with the Southern Kingdom as is manifested in the anxieties and lessons in the writings of Habakkuk. After the destructive debacles of Manasseh, a subsequent good King, Josiah, ushered in a major revival. The reign of Josiah (640-609 B.C.) allowed the people to enjoy a greater degree of prosperity than had been possible in previous years. After Josiah’s death, however, the people thought the new era of prosperity would last indefinitely. The leaders and the people had ignored the spiritual reasons for their material prosperity. The subsequent realities that faced them were not anticipated by either the political liberals or the religiously minded conservatives of their day. The burden which Habakkuk the prophet did see. O LORD, how long shall I cry, and thou wilt not hear! even cry out unto thee of violence, and thou wilt not save! The word “cry” is actually, shavah, “scream.” [Do you ever feel that way?] The word for “violence” is hamas, an adverbial accusative: violence, cruelty, injustice, oppressor. “I look around this nation and all I see is violence and contention. Why aren’t you doing something about this, Lord?” Habakkuk pleaded. Unrighteous judges; law set at nought; life and property were insecure. The wicked knew how to pervert the judicial process. Certainly our own predicament is disturbingly parallel. The average capital offender, before he is executed, will spend 22 years in legal procedures at a cost of $1.8 million! The suicide rate among police is four times greater than that of society in general. Out of every 1,000 violent crimes committed in this country, only 2.4 criminals are brought to justice. Most of our social changes are brought about by court decision, not laws we voted on: bussing, affirmative action, elevation and promotion of sexual perversion, etc. There are three steps to the downfall of a nation (read Judges; Isaiah, et al. ): 1) Spiritual apostasy; 2) Immorality; and, 3) Political anarchy. The primary problem wasn’t political anarchy. Even im-morality was also simply a symptom. It all begins with spiritual apostasy: turning away from the true and living God. Surely we begin to apprehend a painful parallel to our own predicament. Don’t count God out: Stand back and watch. However, God’s subsequent announcement leaves Habakkuk more confused than ever—God announces the impending invasion and captivity by Babylon! For, lo, I raise up the Chaldeans, that bitter and hasty nation, which shall march through the breadth of the land, to possess the dwelling places that are not theirs. They are terrible and dreadful: their judgment and their dignity shall proceed of themselves. …and he shall pass over, and offend, imputing this his power unto his god. Be patient. Don’t panic. God has set a bound to all which displeases Him. And this sets the stage for one of the most impacting verses in the entire Bible! 2. The just who life by faith. Whose soul is not upright? Pride leads to death because it will not receive by faith the grace of God (Daniel 4; Proverbs 16:18). This was God’s Call to Action for Habakkuk! And it is also our call to action for us today! Paul’s three epistles—Romans, Galatians, and Hebrews—are a trilogy that amplify Habakkuk 2:4 and are cornerstones of the New Testament. And, they also are our marching orders for the daunting challenges we, too, are—and will continue to be—facing. •	The Just shall live by Faith Who are the just? The Epistle to the Romans was Paul’s definitive answer (cf. Romans 1:17). •	The Just shall live by Faith: How shall they live? The Epistle to the Galatians is Paul’s definitive answer (cf. Galatians 3:11). We also believe that God has raised up the Koinonia Institute specifically “for such a time as this.” Prayerfully check it out to see if it is responsive to your own quest for direction and preparation. (Go to www.studycenter.com for details.) We would certainly welcome you to join us. The forthcoming harvest for the Kingdom appears to be the most eventful of our lifetime! See The Prophets to the Southern Kingdom for the verse-by-verse study of Habakkuk, as well as Joel, Micah, and Zephaniah, on page 9.